According to sources, you’re looking to build a system that allows you to circumvent credit card processing fees. I’m not a betting man, but I promise you that your solution will do no more than waste your company’s time, and money. Over the rest of this letter, I’ll try to prove that to you, as well as why you should re-enable Apple Pay. First of all, your solution assumes that retailer and consumer interests are aligned. Even if you offered the savings back to customers, in cash, most would still choose to pay cash or credit. Many people are loyal to their loyalty programs, and credit cards are significantly more convenient than bank accounts. There’s also a barrier of privacy that you may not realize exists. Consumers are far more comfortable giving out their credit card numbers than their bank account numbers. Paypal founder Peter Thiel says that in order for a product to change existing consumer habits, it must be an order of magnitude (10x) better than what it’s displacing. This was true of Facebook, of Hotmail, and of the iPhone, and this is true of Apple Pay. This isn’t true of the proposed “Current C” scheme, or anything you’re capable of producing without direct control over hardware. In fact, hardware is Apple’s most distinct advantage. Not even Google, with its strong influence over the Android platform, and billions of users, could create a compelling wallet-replacement. Using Google Wallet simply required too many steps. Apple’s direct control over its hardware has allowed it to build competitive advantage directly into the product. 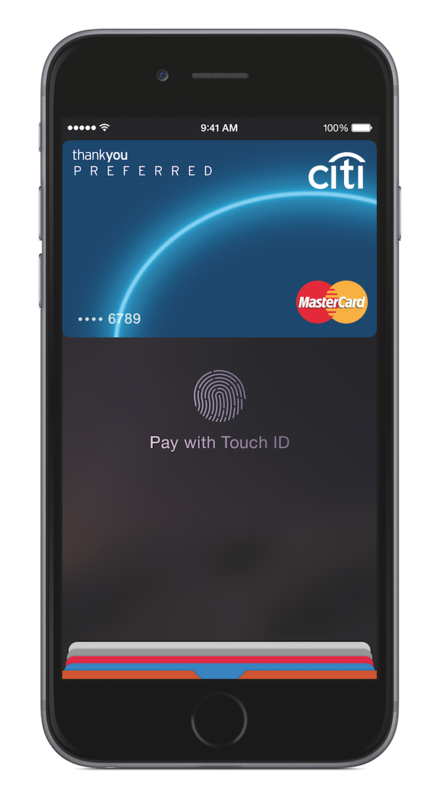 Proprietary access to the NFC chip, and the touch-ID security chip means that only Apple Pay could possibly succeed on the iPhone. To make this even clearer, I’d like to provide some illustrative examples. Here’s the payment process as it stands. It starts by handing the clerk your items, and taking out your wallet. You choose cash, or a credit card, and hand it to the clerk, or swipe it yourself. You’re given a receipt. You sign it. You take the receipt, and stick it in your wallet, or in the bag of the item you’ve purchased, and then you place your change or your card back into your wallet, and put that into your pocket. The entire process only takes a few minutes, so to improve upon it by 10x requires significant work. As it stands, when you go to an Apple-Pay compatible store, you simply give your fingerprint to authorize a payment. It’s a quick, painless process that probably saves you around 30-40 seconds, and doesn’t even require locking your phone. You can pay with nearly any credit card, and earn all of the bonus points that your particular card provides. Since all data is transferred over NFC, rather than cellular, it’s quick and efficient. Even more importantly, secure data never reaches the retailer. Thanks to Target and Home Depot, big chains have become synonymous with loose lips. Many consumers have lost faith in retailers to keep their data safe. These security scares have led to a rash of new security products that consumers are really embracing. Your solution, as it’s been described, is quite a bit more clunky. To pay, users must unlock their phone, and open a dedicated app. Then they must scan a QR code, confirm their purchase, and type in a pass-code. Then they have to use another scanner to scan yet another QR code to complete the transaction. Those using mileage credit cards earn no miles, and those concerned with privacy are forced to hand their bank data to a group of retailers. Once you get the hang of it, it may save you a few seconds, but not more than that. It’s not 10x better. If you think that your system stands a chance, you’re dreaming. In the short run, disabling Apple Pay is not going to cost you much money, but in the long-term it might. 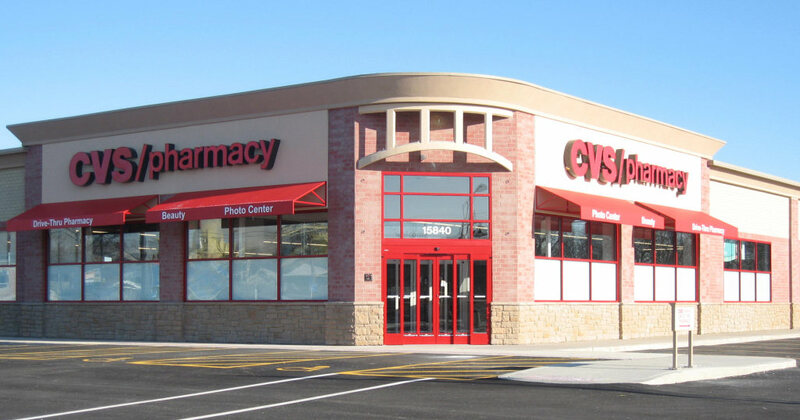 As Apple-Pay finds its way into more and more retail locations, consumers may start leaving their wallets behind on occasion, and, knowing that CVS doesn’t accept Apple Pay, make shop with a competitor. It’s also a massive waste of time and resources. Technology and mobile payments is not your core competency, and should be low down on your priorities list. As I see it (and as just about any millennial sees it), there are two possible futures. In one, customers and retailers quickly adopt Apple Pay. Millions of hours of productivity are saved, as consumers save time at the register. Purchasing of impulse-buys soars as the energy required to purchase some decreases, and retailers enjoy a bit of extra business. Google releases their own updated solution, and mobile payments come into vogue. In the other, life remains the same. Customers pay with cash or credit, and checkout lines grow. More and more customers decided that time spent at the local pharmacy isn’t worth it, and turn towards Amazon for quick delivery of their necessities. Under no circumstances will a payment solution that you control come into vogue. You don’t possess the technical control, nor the economic control to create a product consumers would adopt. You can either help adoption, or hurt adoption of Apple Pay. There is no third scenario. Personally, I’d recommend re-enabling Apple-Pay and NFC in general, but that’s up to you. Good luck.